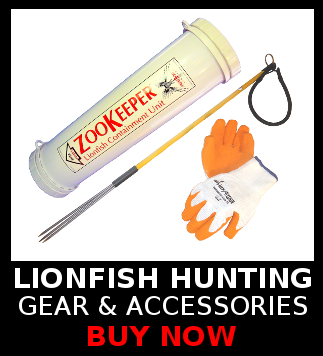 The official launch of the first publicly available interactive lionfish tracking map for use around the entire range of the invasive species lionfish occurs this week. 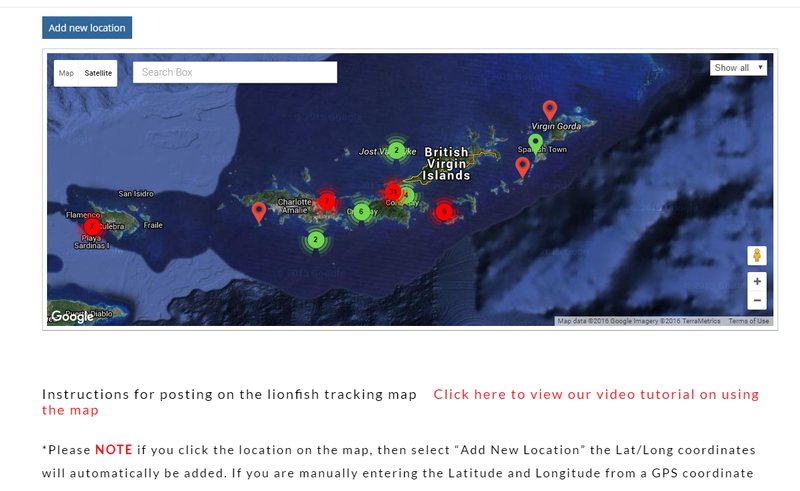 This lionfish tracking map, available at http://lionfish.info/lionfish-tracking-map/, allows anybody to directly input where they either removed or spotted an invasive lionfish. If spotted a green pin is plotted on the map for other divers to return and cull the lionfish, and when removed a red pin is plotted along with the relevant catch data. The unique lionfish tracking map came about as a result of several groups of concerned divers who felt the need for this type of tool to help their small island nations get a better grasp on just how extensive the problem with invasive lionfish has become. Much of the research, information and data involving the invasive lionfish has been held privately by the non-profit groups, governmental organizations and Universities that feed on grant money. Because of this lack of transparency, the Lionfish.info team has decided to tear down that pay wall for data and make all of their information available to the public at no cost. Along with allowing any user to add their data to the tracking map, a central component of the data also includes an area where conservation groups, dive shops, and other concerned parties can include their information with the lionfish data so that lionfish hunting tourists can see who is removing lionfish, how many, and where when planning their future dive destinations. Along with providing the public with relevant lionfish invasion data, the Lionfish.info team expects the map to also provide a boost to the diving tourism of many popular destinations from Central and South America as well as around the Caribbean and Florida.